CAA had the privilege of working with faith leaders, activists, and community organizers last spring for a collaboration through the Auburn Seminary. 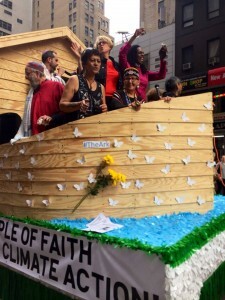 This fall, they turned their dreams into ideas and their ideas into action at NYC’s Climate March on September 21, 2014, building their very own Ark to sail down the streets of New York City. 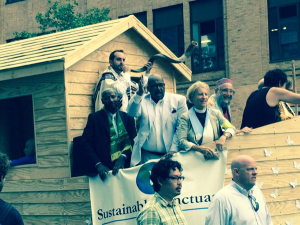 The Ark was built through collaboration between Auburn and GreenFaith, along with friends at Catholics United, Sojourners, the World Council of Churches, Judson Memorial Church and Middle Collegiate Church. 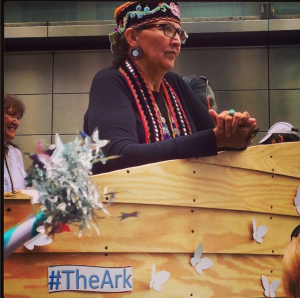 We love the idea of the Ark! Read more about their inspiration and motivations for the project in their article, “Why We are Building an Arc.” Great creative activism in action!